Water pipes, ducts and similar things have a tendency to be arranged in ways that resemble great walls of metallic spaghetti. This is especially common in videogames that use thick pipes for a Space-Filling Path, Insurmountable Waist-Height Fence, or just generic platforms in an Absurdly Spacious Sewer or Eternal Engine. Can sometimes be Truth in Television due to people taking the easy path out and just using whatever scrap parts they happened to have lying around. Parodied in the retro design of Terry Gilliam's Brazil, which has exposed ductwork everywhere. It even lampshades the fact by having somebody advertise ducts on TV. An underground area in The Goonies has one. Sloth pushes on a pipe and causes a traffic accident above. The first time Ken sees the Nuclear Utilisation Technology Centre in the Temps story "Leaks" by David Langford, he thinks "Ducts!" and expects to hear the background music from Brazil. The City of Ember has the Pipeworks workers, whose job is to patch up the incredibly intricate network of pipes that brings water to the citizens. Or rather, they patch up the patches over other patches that someone else, a long time ago, put on some more patches. The opening credits animation of the third series of Monty Python's Flying Circus. Prison Break has the pipes under Fox River State Penitentiary. There's a twisted series of lead pipes, the copper pipes that replaced them and newer plastic pipes all entangled together in a maze that even the genius Michael Scofield can't navigate. Animusic's "Pipe Dream" and "Pipe Dream 2" videos have, as their names suggest, pipes that run around all of the instruments and around the walls. Some of them even launch balls to strike the instruments like mallets. Pictured above, the OpenGL Pipes screensaver introduced in Windows NT 4.0. Windows Vista removed it, but you can still copy the .SCR file from an older version for that retro feel. The more screens you have, the better the effect. XScreensaver has a version with improved graphics, including valves and gauges. Level 5 in Episode 1 of Cosmo's Cosmic Adventure, as well as Level 5 in Episode 3, both have of teleporting green tubes that take the eponymous character through different portions of the playable area. They're one-way only, though it's not a problem since it's impossible to get stuck (at worst, you'll have to do some extensive backtracking if you flub your route). Pipe Mania and its imitators - love 'em, love 'em so much. But if you're Scoring Points, you end up trying to get as many pieces filled as humanly possible, so you end up distinctly avoiding the straight route and trying for as many twists, turns, and go-back-throughs as possible. Bonus if you get a big square of 'em made out of two-ways rimmed by U-turns, so the water goes through the whole square once and then goes through it all one more time just to ensure you've covered enough territory. World 6-2 has an inordinate amount of pipes, many of which can be entered, implying that it may be the first attempt by the series. You don't travel through pipes in Mario Bros. In World 8-4, you have to go down the pipes to progress through the level and reach Bowser, and going down the wrong pipe will send you back to the beginning of the level. World 6-1 of Super Mario Bros. 2. At first it plays like a traditional desert level, but then you enter the underground area housing 21 jars (them being the game's equivalent of pipes); almost all of them can be entered, but only one has the key that leads to the end. Among them is also one jar leading to an extra life, so it's not all bad. Super Mario Bros. 3 actually has a world called 'Pipe Land/Maze', which has quite a few levels which most probably come under this (note the vast amount of pipes which don't do anything other than make temporary walls rather than actually taking anything anywhere). The background in the remake is even more completely insane in terms of pipe layout. The first level (7-1) showcases the concept in a primitive form, while later levels mix things up by adding extra perks (such as invisible blocks meant to create paths you have to take by using alternate pipes, or platforms whose direction can be manipulated with your own jumps). World 7-9 has a particular pipe maze level even by the world's standards, as you don't travel through the pipes (they're smaller in size, much like the ones seen in World 2-1; the difference is that those are colored purple while these are sky blue) - it's just a 2D maze in an athletic level. New Super Mario Bros. has levels 3-A and 7-A, and both even mimic the background layout of their SMB3 counterparts, only with updated graphics. Piranha Plant Slide in Mario Kart 7 and Mario Kart 8, based on the Super Mario Bros underground levels. The original Mario Party has a minigame of the same name. The seventh game has a Duel minigame based on this as well (Warp Pipe Dreams). Super Mario World: Piranha Island: Piranha Pipe takes place in a set of twisting pipes. Some of its sections have forced-scrolling and Rotodiscs in them, and other sections have thorns to avoid. Mario also has to avoid plenty of Venus Fire Traps and Piranha Plants. Ratchet & Clank: Up Your Arsenal has an (almost entirely optional) Absurdly Spacious Sewer section that fits this bill precisely. There are 98 "Sewer Crystals" to be found in this maze. It's hell if you're a completionist, as there's a skill point for getting all of them. Sonic the Hedgehog 2 for the Game Gear and Sega Master System has the oddly named Scrambled Egg zone, which is basically a mass of pipes, and you have to very quickly choose ways to go sometimes. Often, you'll get it wrong and get flung into spikes. Trial and error at it's purest. Used slightly in Sonic Chaos' Electric Egg, and less so still in Sonic Triple Trouble's Atomic Destroyer, both with less cheap penalties. Sonic Blast's Blue Marine zone, an icy underwater hell full of strong currents and pipes. You can breathe in the pipes, but that is almost the level's only saving grace. To say it is arduous doesn't even cover it. You'll see one of these in Baldur's Gate II if you explore the Shadow Thief guildhouse proper. It's apparently used for training purposes. In BioShock you need to complete a Pipe Maze screen to hack vending machines and security systems. Where's My Water?, which takes place in a sewer system, has lots of pipes. Some of the levels invoke this trope, there's even a level named "Pipe Maze"! Found ◊ in City of Villains. In Something, Pipes n' P-Switches is based on the gimmick of retrieving P-Switches to get rid of the coin blocks and Munchers. The 7th Guest has a puzzle like this, but based on an artery connected to a heart. And the things to work with are tilting gates between intersections. Stauf: "This plumbing could get you into hot water!" Sierra's Lighthouse: The Dark Being has a puzzle like this, inside the Dark Being's Volcano Lair. You have to manipulate a series of valves in a large grid of thin pipes, to direct steam down to the bottom where a portion of the MacGuffin is. And you're doing it inside a diving bell-like contraption suspended over boiling hot lava. Apple's Through the Looking Glass came with a bonus game called Amazing. By default, it generated two-dimensional mazes to solve. On higher difficulty settings, they were intricate Pipe Mazes. Much of the first part of the second level of Tiny Toon Adventures Babs Big Break is this. In Tweety And The Magic Gems for the Game Boy Advance, one of the mini games is "Pipe Maze", which involves going through a maze of pipes to find the exit, and there's another mini-game called "Mushroom Trampoline" that plays similarly. Since the game was developed by Kemco, who also developed the Bugs Bunny Crazy Castle games, it features similar gameplay mechanics. There is a scene in Machinarium where you have to drain a well, for which you have to shut off its supply line. It can be done by shutting off some valves on a wall full of interconnected pipes with the limited amount of wrenches you have (once you remove the wrench, the valve opens again). The puzzle is which valves to shut off to stop the flow. 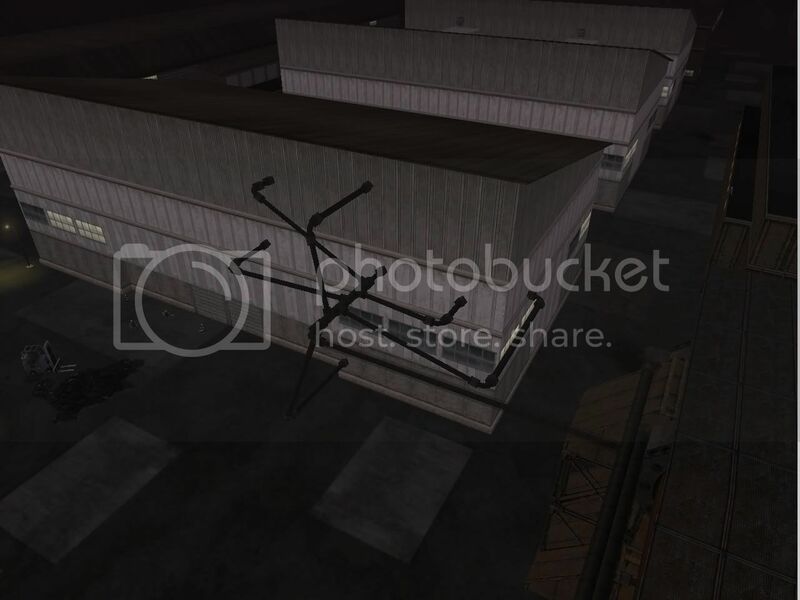 SCP Foundation's SCP-015 , a mass of pipes and plumbing work that have taken over an entire warehouse. A minigame on Cartoon Network.com, called Ed Edd n Eddy's Candy Machine, centers on building a huge jawbreaker delivery system in a grid. As you progress, the available parts get wackier, and using more crazy parts gets you higher points at the end of each level. There's a newer, "Deluxe" version with even more crazy parts. The back areas in Monsters, Inc.. where Randall carries out his evil experiments are practically made of complicated plumbing. They even made custom software for creating the piping. One episode of Futurama had an alien abduction of Fry happen via a needlessly complex tube similar to the famous screen-saver. In the Littlest Pet Shop (2012) episode "Hamster Hoods," there is a hamster tube version of this, built by hamsters Dodger and Twist for easy access all over Downtown City. Of course, the "maze" part of this kicks in when it becomes clear only Dodger and Twist can travel through it without getting lost. Visit a power plant sometime. The water/steam pipes really are arranged like this because all that stuff has to go somewhere. Refineries are basically made of 5 things: Metal beams, bright lights, tight catwalks, huge containers, all lined with and lots and lots of pipes.